Grahame John Brownless was Born in Bromley, Kent, and went to Maidstone Grammer School. He took up articles for chartered accounting with Larking & Larking Ltd in Maidstone, and later became a member of the Association of Consulting Actuaries. In 1971 Grahame bought a flat in Fitzroy Mews and spent most of his time in London where he had a succession of jobs including working as an auditor. In 1981 he recieved an MBA from Cranfield University. He did VAT returns for an electrical retailer in Whitfield Street, Fitzrovia, and was a member of Nominet the UK's Internet domain name registry. He was involved in a number of Internet projects as part of the 1990s dot-com boom. In the late-1990s he became a volunteer with the Fitzrovia Neighbourhood Association at 39 Tottenham Street. He understood charity finance and showed great patience when helping the staff and volunteers and explaining the intricacies of accounting. Grahame organised the hiring out of our small 5-a-side football pitch we have, took the pitch bookings, sent out invoices and dealt with maintenance problems. He liaised with Camden’s parks department and sorted out any problems. And he banked the money raised into the charity’s account. Grahame also helped with other fundraising. Crucially he helped me work out the overheads for running the Fitzrovia Neighbourhood Association and helped me to prepare budgets for projects as we sought more funding from charitable trusts as our local authority income was reduced. He showed me how to use spreadsheets and gave me lots of tips for basic accounting and working out costs. I learnt a lot from Grahame. He also wrote a few short news and historical articles for Fitzrovia News. He penned some letters under the name of “Very annoyed of Fitzroy Square” where he’d grumble about faulty lighting and broken paving. Whether it was his modesty or a disposition to privacy he never wanted his name on anything or us to thank him publicly in our reports or at meetings. Grahame was reluctant to answer the telephone at the office. One of us would have to answer it in case it was someone he didn’t want to talk to. He took great pride in his work and was happy when he was busy. We all liked Grahame at the Fitzrovia Neighbourhood Association. He was reliable, hard-working and a great supporter of the organisation. And he had a good, if rather peculiar, sense of humour. Regrettably he did not enjoy the best of health and had his first heart attack at age 48 and he struggled with depression. I remember Grahame telling me about his first heart attack as if it was a common occurrence for most people. He said he had been suffering pains in his chest and a strange feeling in his arm and so he went to see the doctor having booked an appointment. He said he told the doctor the symptoms he was having — and was still having there and then in the doctor’s surgery — and the doctor without saying a word just picked up the telephone and asked for an ambulance. The last time I saw Grahame was a week before he died. He said he was told by his doctor he should have a heart by-pass operation. Grahame was unlucky in love and was a confirmed bachelor. He was fiercely loyal to his friends and family and spent the last few years looking after his mother Joan who had severe dementia and was housebound. Grahame had a lot left to give but sadly his life was cut all too short. 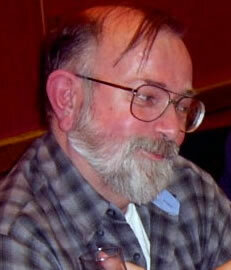 Grahame John Brownless: born 17 November 1946 Bromley, Kent; died 25 March 2013, Maidstone, Kent.